Hello there! Welcome to our blog at Hometown Roofing, LLC.! We’re happy you’ve found your way to our website. If you’re currently seeking a residential or commercial roofing company that is both reliable and effective, you’ve come to the right place. We are well-known in the Dallas/Fort Worth community for our high-quality roofing services, ranging from roof maintenance and roof repair to roof replacement and roof installation. Hometown Roofing has been in business for more than 15 years, so you can trust that whatever roofing project you throw our way, we can handle it with ease and efficiency. We also have plenty of experience working with insurance companies, and our team can help you navigate the complicated and tricky insurance claim process. 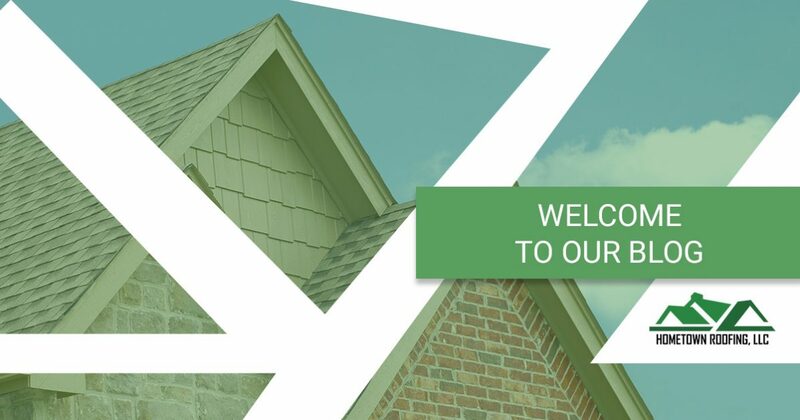 In this blog post, we’ll provide an overview of our roofing company and why we’re different from other roofers in the Dallas area. Hometown Roofing gives free estimates for all of our customers — contact us today to schedule your next roofing service. Whether you’re seeking roof repair for hail damage on your home or you need tile and slate roofing for your commercial property, we do it all here at Hometown Roofing. Our team wants to provide you with a roofing experience unlike any other, and we will make sure to get the job done right the first time around. Our roofers only utilize high-grade materials and have experience working with a variety of roofing brands, including GAF, Owens Corning, Tamko Building Products, Eagle, Decra and more! We stay involved throughout the entirety of your roofing project, and we’ll remain available to you even after your project is complete. Want a roofer you can count on with your home or office building? Schedule an appointment today. Our roofing company was founded in 2002, and we’re known for our top-notch customer service and product installation. Our roofers have experience working with asphalt shingles, designer shingles, tile, TPO, modified, built-up and mop-down systems, and you can trust our labor crews to treat your rooftop as if it was their own. 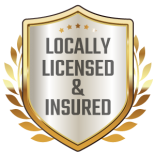 Hometown Roofing is properly licensed and insured, and we have an excellent track record and great reviews. Learn more about why you should choose us here. 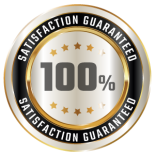 We are also GAF certified contractors, which means you, the customer, have access to a special two-year labor and workmanship warranty as well as a 25 to 50-year material warranty on most shingles. 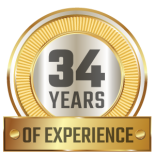 Our founder, Jim Otis, has more than three decades in the roofing industry, and his mission with Hometown Roofing is to offer homeowners and business owners a trustworthy, go-to solution when it comes to their rooftops. We always put our customers first, and we’re proud of every roof we work on (and your roof project isn’t finished until we are). We know you have a choice when it comes to choosing a roofer in Dallas. That’s why we appreciate every single customer who chooses to do business with us. Let Hometown Roofing, LLC., handle your next roofing project. For more information or to schedule a consultation for a free roofing estimate, contact us today. You can reach us by calling (888) 798-2917 or by filling out our online form. Our team is available 24 hours a day, 7 days a week for your convenience. We look forward to hearing from you soon!